Hyderabad: Nelli Praveen Kumar is the student who studied the first year of Fine Arts at Hyderabad University. In this morning, his roommate and friend found that he was hanging from the ceiling around 4:15 am. The Hyderabad University student suicide is not a new, early this year, Ph.D. research scholar Rohit Vemula had committed suicide. Praveen (25) has stayed in his room np. 204 in the L-Block of University of Hyderabad hostel campus. As per the report, there is no suicide note has found in that room. The Gachi Bowli police inspector N Ramesh said that his friend who stayed along with him in the room 204 had given a statement as he slept in his friend’s room in that night. While he visited his room back around 04:30 am. He knocked the door for several times, but Praveen didn’t response for it, and the door was locked inside of the room. So, he needs a help of friends those who all stayed nearing his room to break the door. After the opening of the door, they found that the Praveen has hanging from the Ceiling. 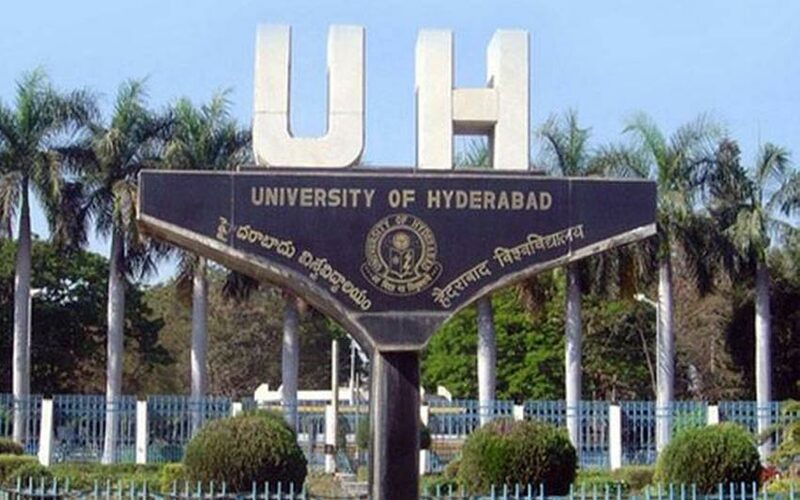 The UoH officials said, Praveen has immediately admitted at the University Health Centre and then shifted to the private hospital for the treatment along with the University Medical Officer. The doctors declared as he was dead. Then his body has moved to the Osmania General Hospital along with his brother and police officers. He was admitted to the UoH for the Master degree of Fine Arts before the one and half month ago. The University and the Department of Fine Arts held a condolence meeting this morning for Praveen’s death. He is from the middle-class family of Jawaharnagar colony in Shadnagar in Mahbubnagar district. His father is N Narasimhulu, and he is working as an employee of BSNL.